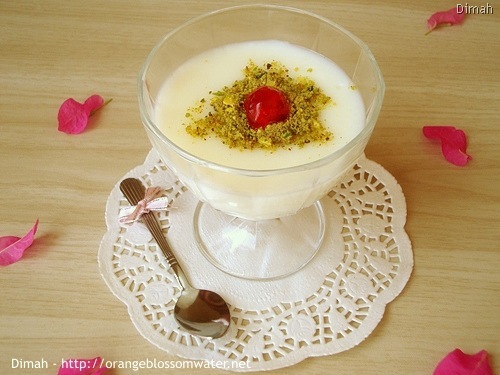 Mhallabiet Al-Halib (Muhallabi or Muhallabiyeh) is middle eastern milk pudding. 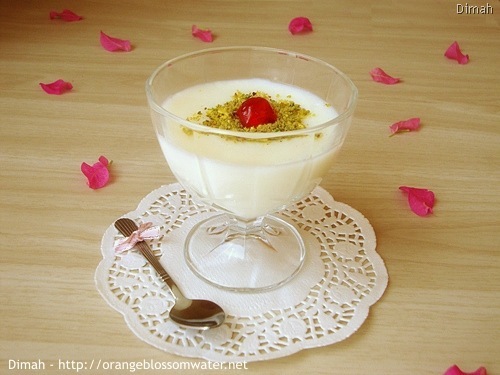 It is called Mhallabiet Al-Halib because it is prepared from milk, Halib is the Arabic word for milk. 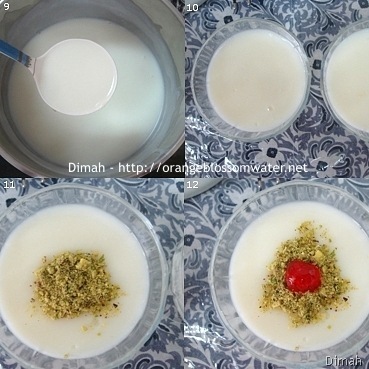 Mhallabiet Al-Halib (Muhallabi or Muhallabiyeh): Prepared from milk + cornflour (cornstarch). In Damascus it is known as Mhallaiyeh. 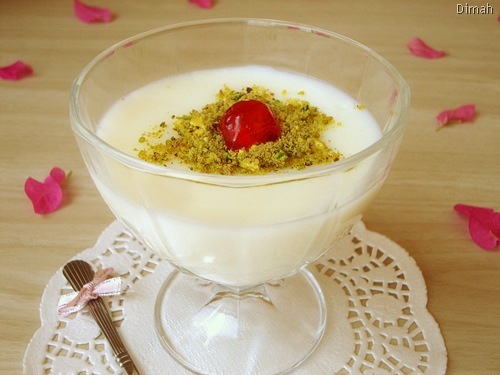 Haitaliyeh or Hailatiyeh: Prepared from milk + cornflour (cornstarch), and must be served with Arabic ice cream (Bouzat Al-Halib). 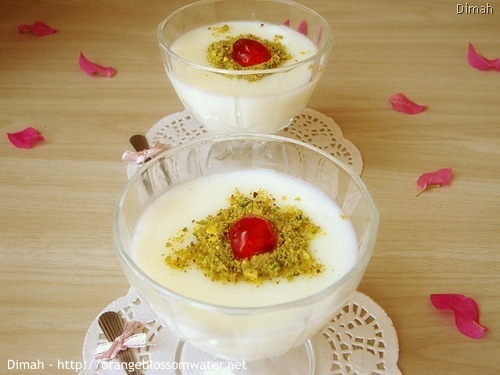 Mrazaziyeh: Prepared from milk + rice flour. Rez Bel-Halib: Prepared from milk + Egyptian short grain rice. 1. In a pot, add full fat milk. 2, 3. 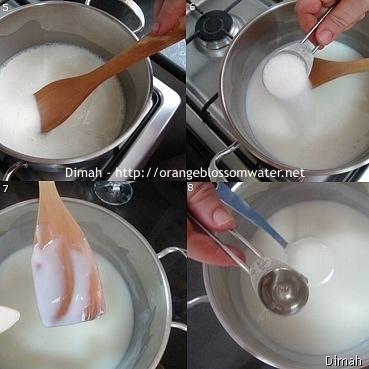 Add cornflour (cornstarch) to milk. 4. Whisk together milk and cornflour until dissolved. 5. Turn on heat, and use wooden spoon and stir the mixture over medium heat. 6. Continue stirring until the mixture comes to simmer, then add sugar and continue stirring. 7. Continue stirring until you coat the back of your spoon (when you can make a line with your finger without the liquid coming together, you’re set). 8. 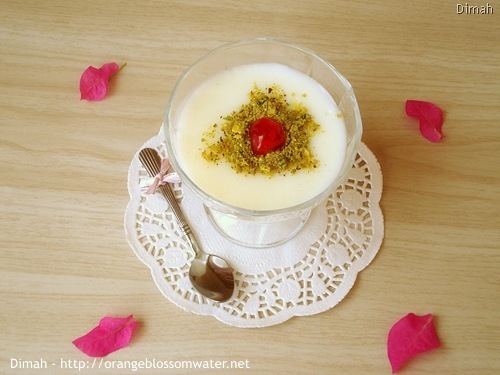 Once the spoon test clears, turn off heat, then add orange blossom water and rose water and stir. 9. Pour pudding immediately into bowls. 10. Allow to cool at room temperature. 11. Garnish with crushed pistachios. 12. 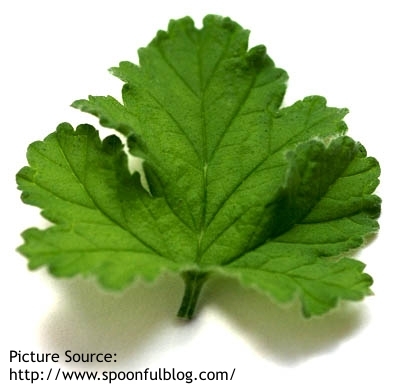 Garnish with maraschino cherry, then cover with plastic wrap and refrigerate until ready to serve. 13. Serve Mhallabiet Al-Halib cold. In a pot, add full fat milk. 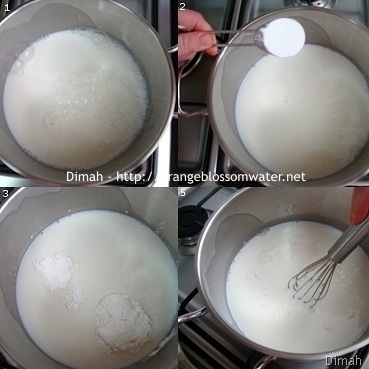 Add cornflour (cornstarch) to milk. Whisk together milk and cornflour until dissolved. Turn on heat, and use wooden spoon and stir the mixture over medium heat. Continue stirring until the mixture comes to simmer, then add sugar and continue stirring. Continue stirring until you coat the back of your spoon (when you can make a line with your finger without the liquid coming together, you’re set). 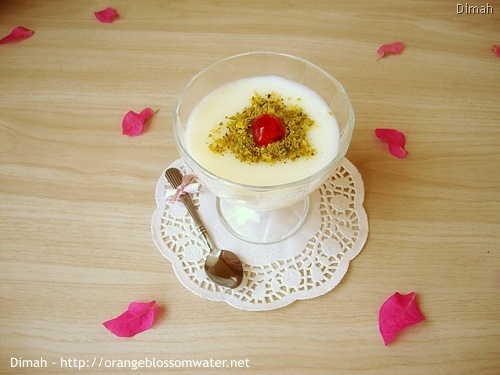 Once the spoon test clears, turn off heat, then add orange blossom water and rose water and stir. Pour pudding immediately into bowls. Allow to cool at room temperature. Garnish with maraschino cherry, then cover with plastic wrap and refrigerate until ready to serve. I learned the spoon test from here and used this method in my recipe. 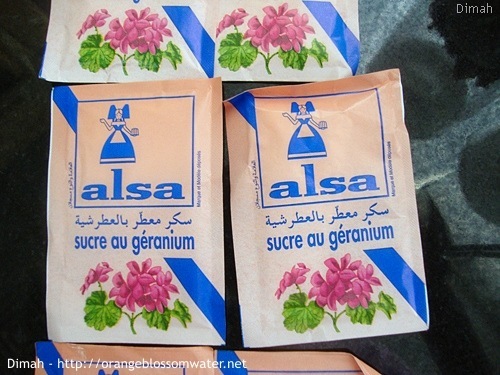 My grandmother adds (geranium leaves) to mhallabiyeh and that gives a very nice flavor,the leaves are removed before serving in bowls, geranium is known in Arabic as (A’terah), I used sugar flavored with geranium, here is the photo of the sugar Geranium Sugar. 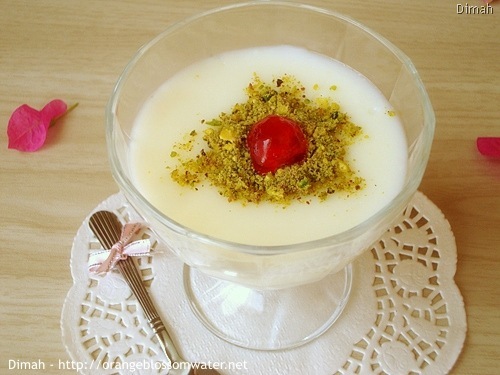 Mastic is also used to flavor mhallabiyeh. 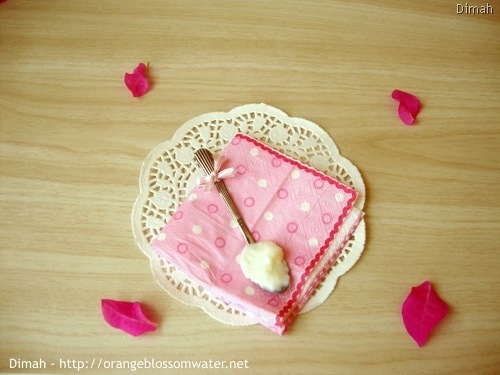 This entry was posted on Saturday, July 10th, 2010 at 2:58 PM	and is filed under Syrian Baking and Desserts. You can follow any responses to this entry through the RSS 2.0 feed. You can skip to the end and leave a response. Pinging is currently not allowed. 1 recette simple et délicieuse!!! 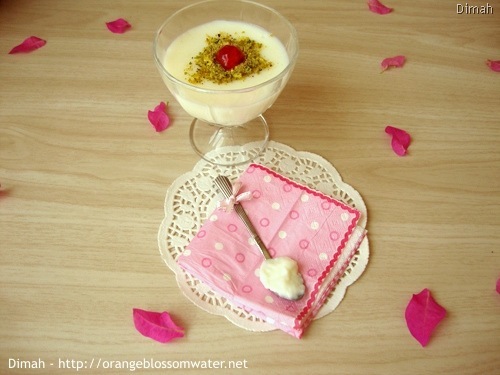 Orange Blossom Water Turns Ten! 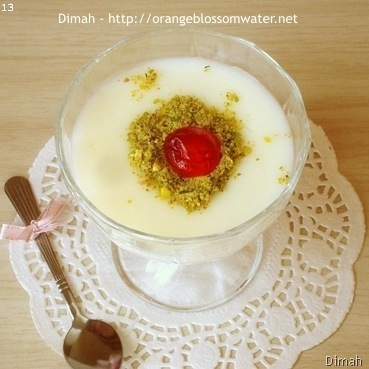 (c) 2009 - 2018 All Text, Recipes and Photography on Orange Blossom Water are the copyright of Dimah. All Rights Reserved.